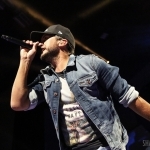 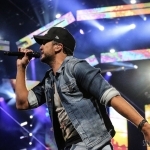 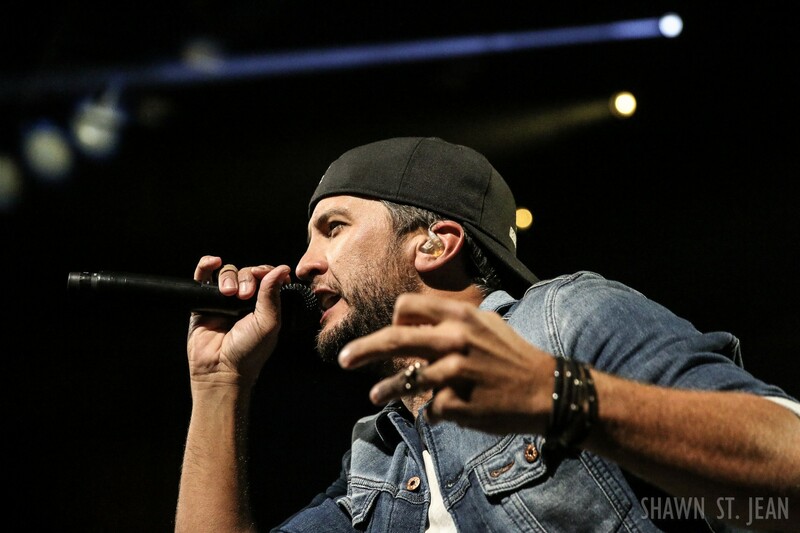 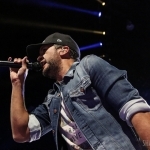 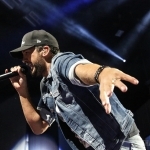 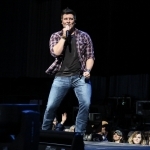 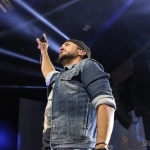 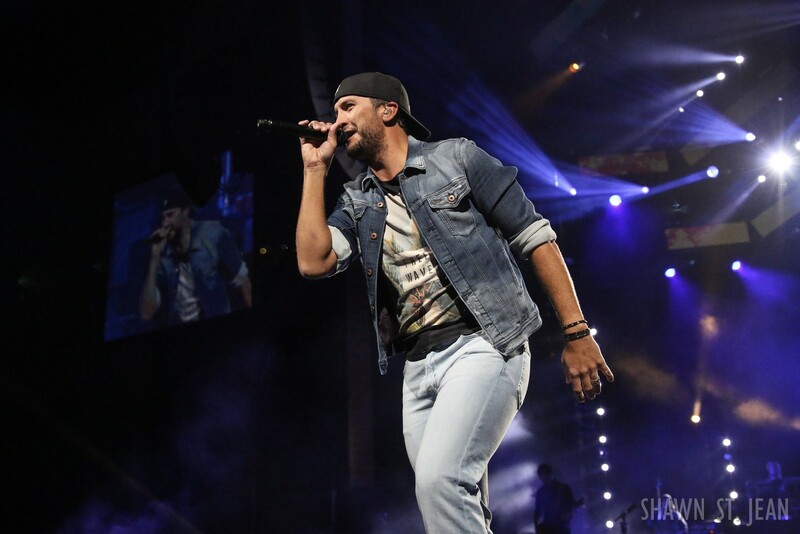 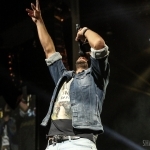 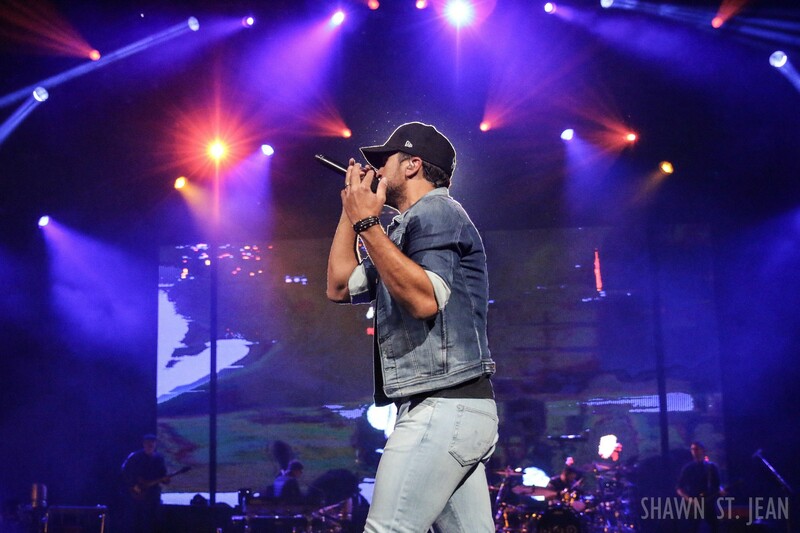 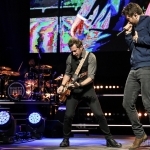 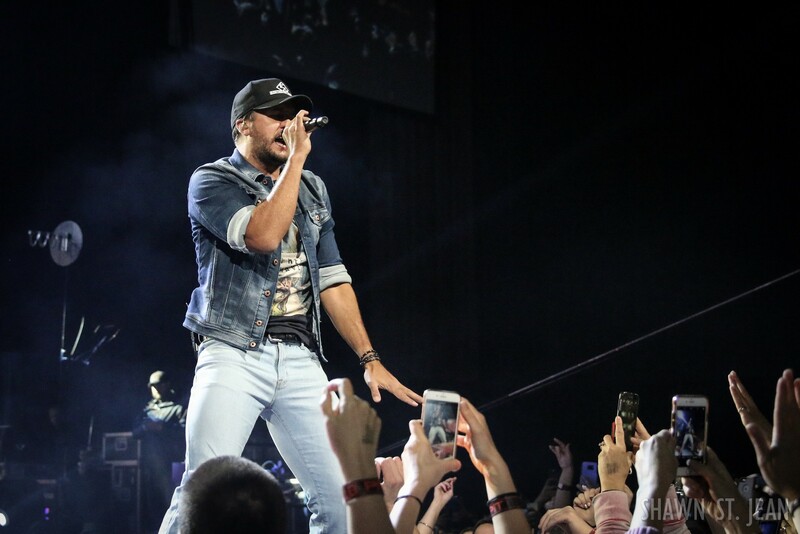 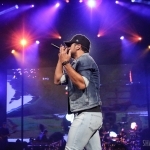 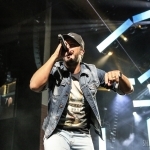 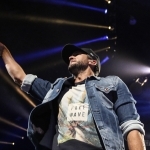 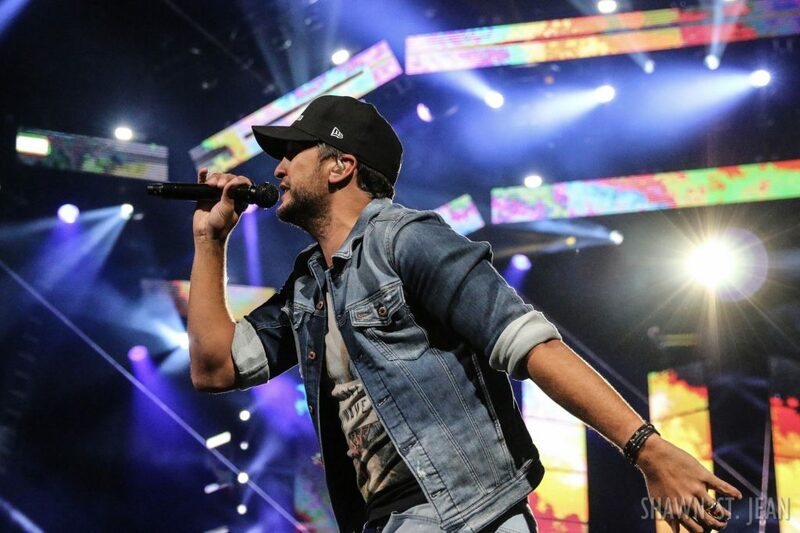 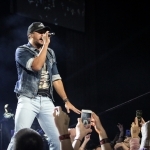 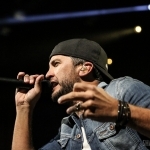 Luke Bryan brought his Huntin', Fishin' and Lovin' Every Day Tour to Hartford's Xfinity Theatre on Saturday, May 13th, along with Brett Eldredge and Adam Craig. 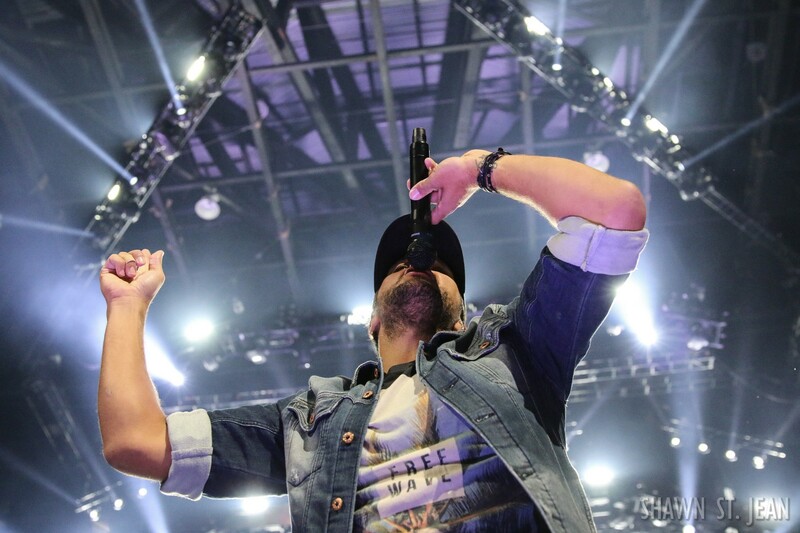 There’s a reason why Luke Bryan’s been the recipient of multiple Entertainer of the Year Awards: it’s because he throws the biggest and best damn party every time he steps on stage. 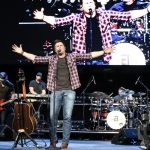 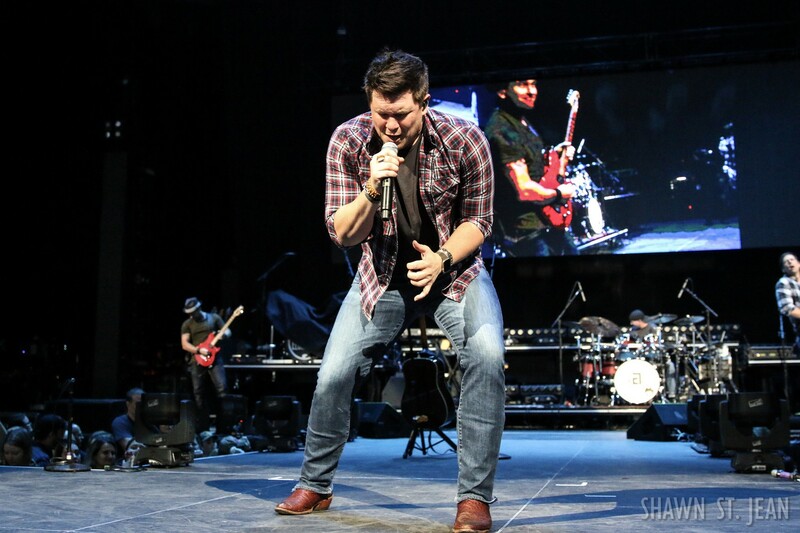 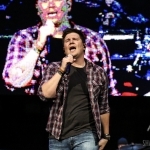 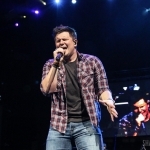 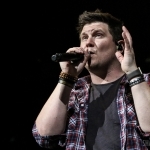 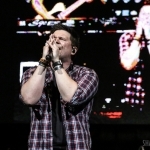 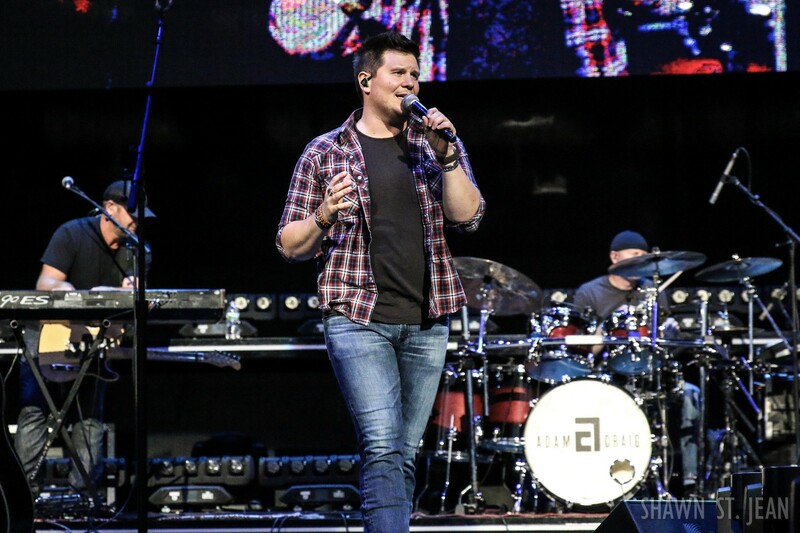 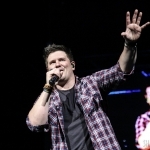 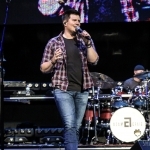 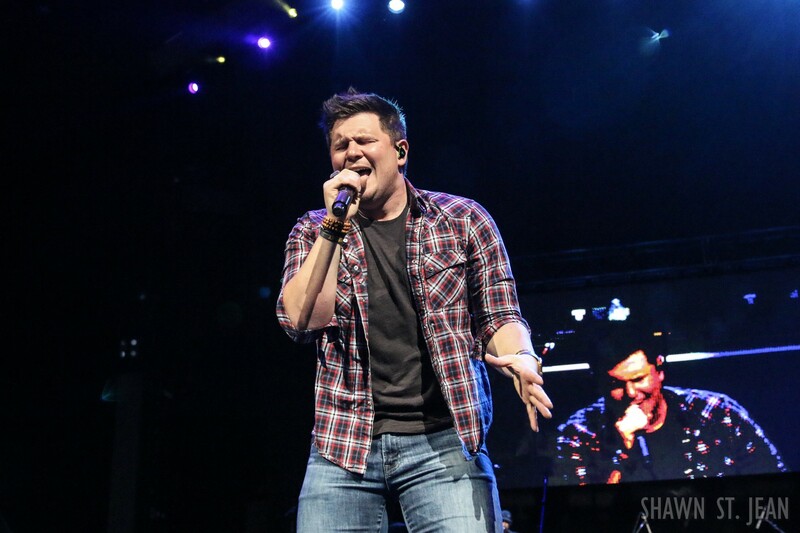 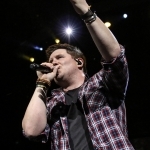 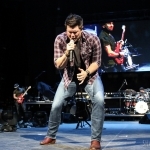 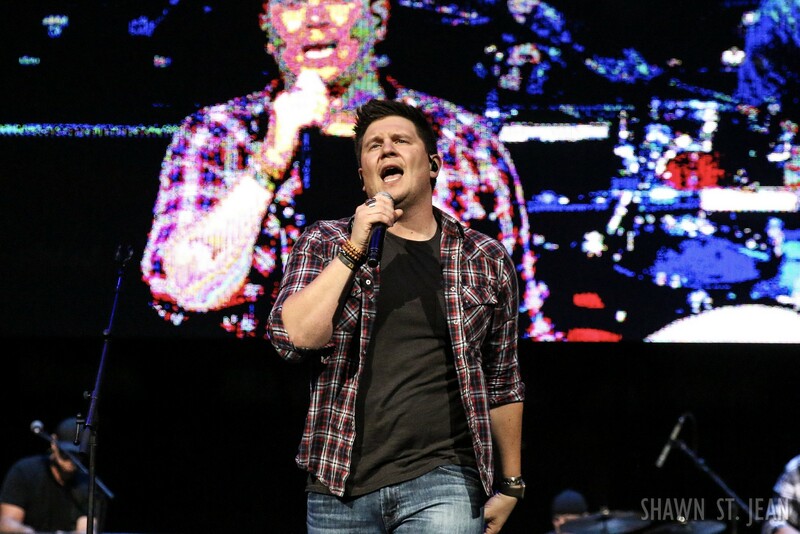 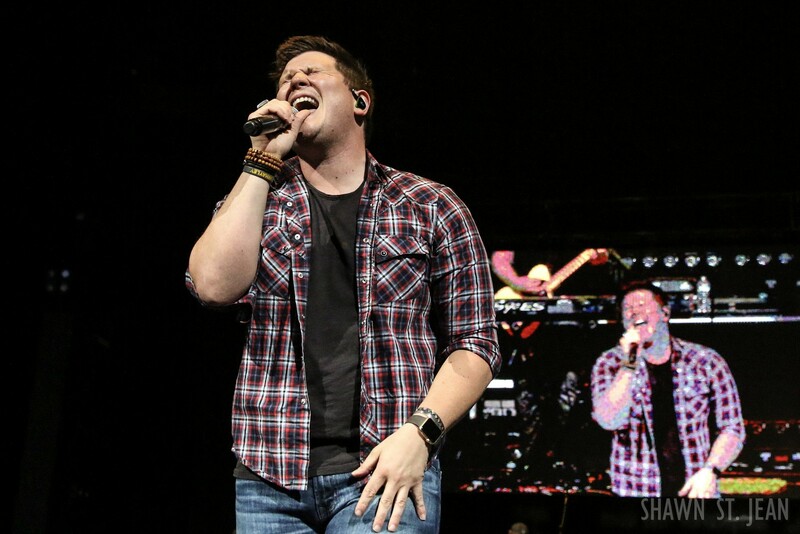 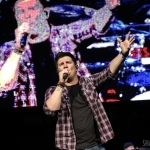 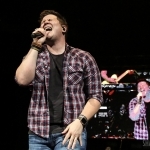 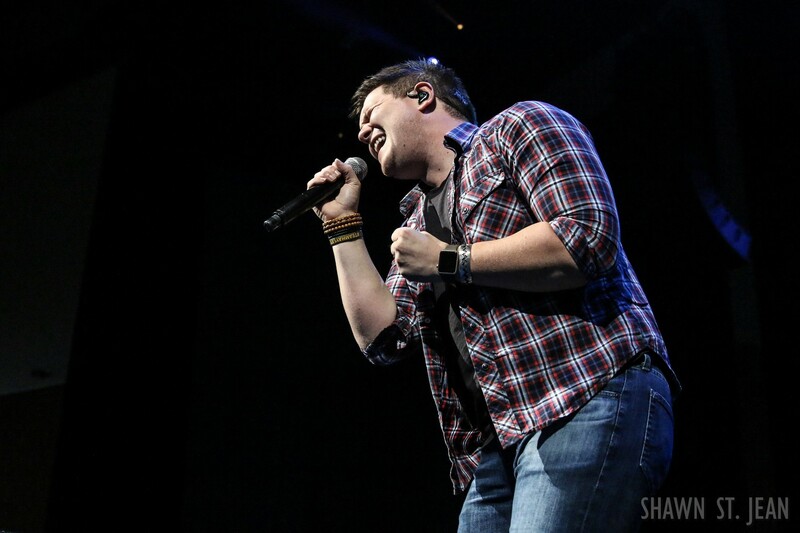 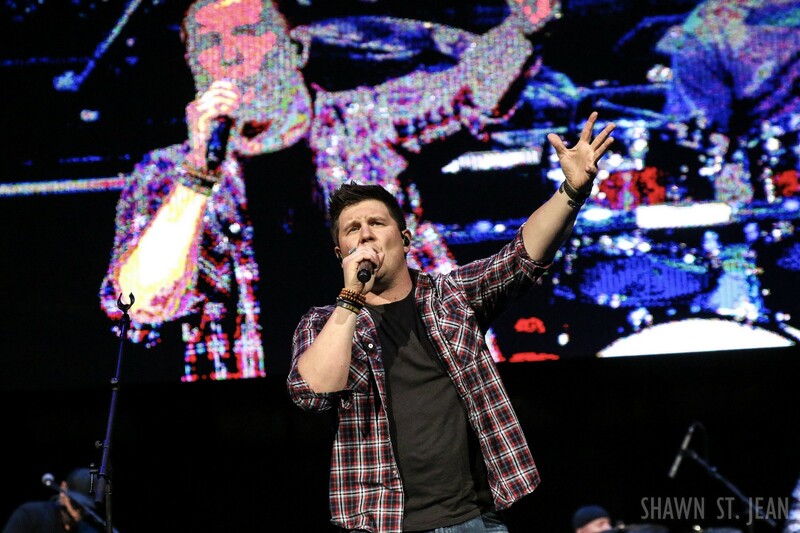 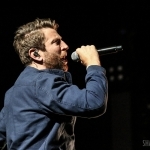 Saturday night in Hartford was no exception as Bryan, along with Brett Eldredge and Adam Craig brought the 2017 Huntin’, Fishin’ and Lovin’ Every Day Tour to the Xfinity Theatre. 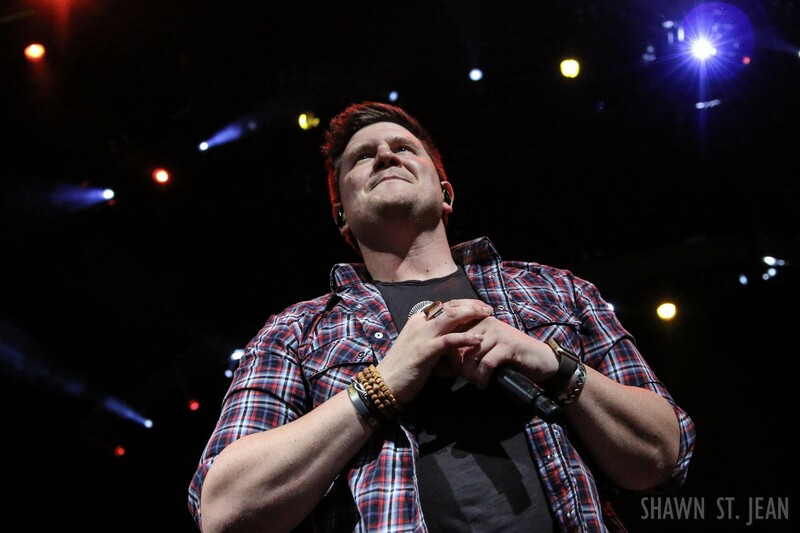 Bryan has some of the most die hard and dedicated fans in the genre. 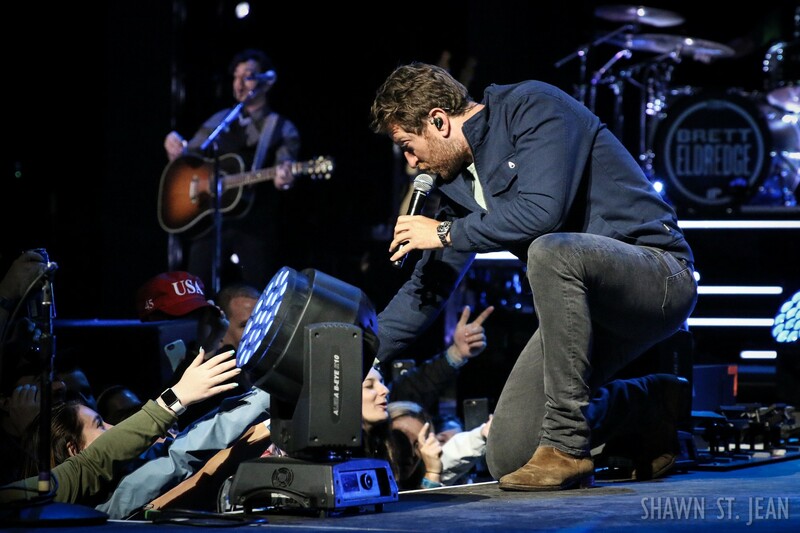 And attending one his shows is definitely not a laid back, passive experience for them. 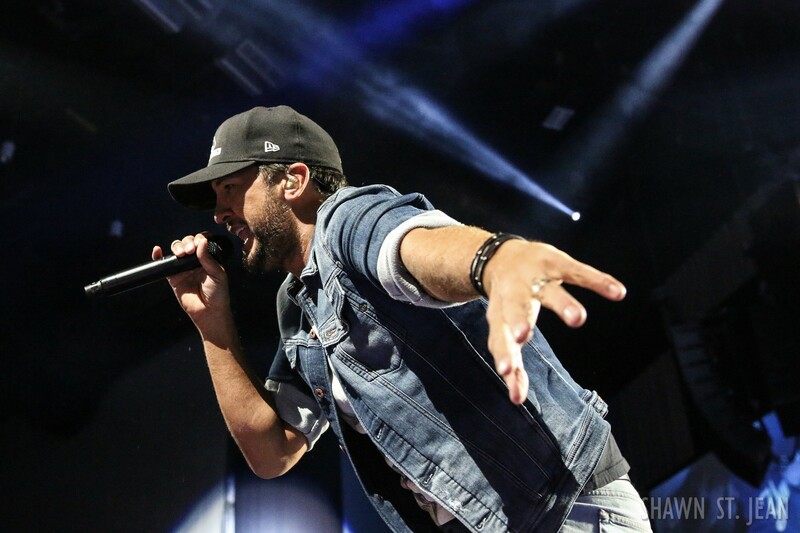 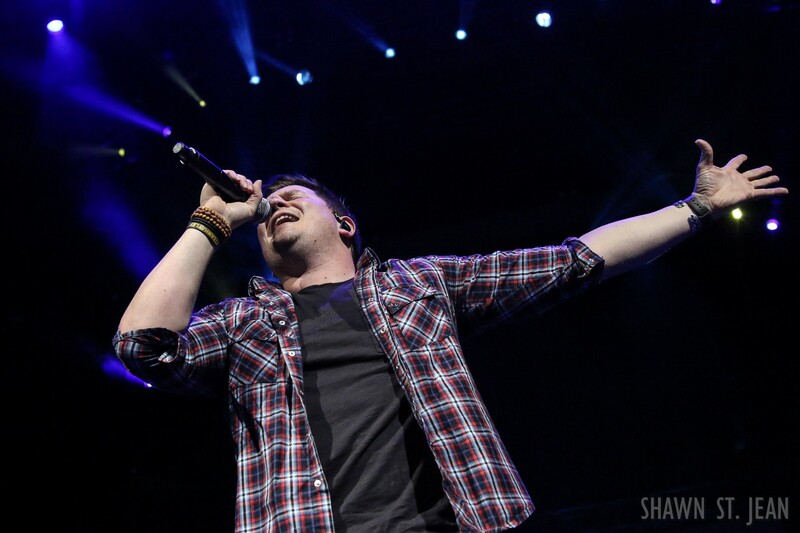 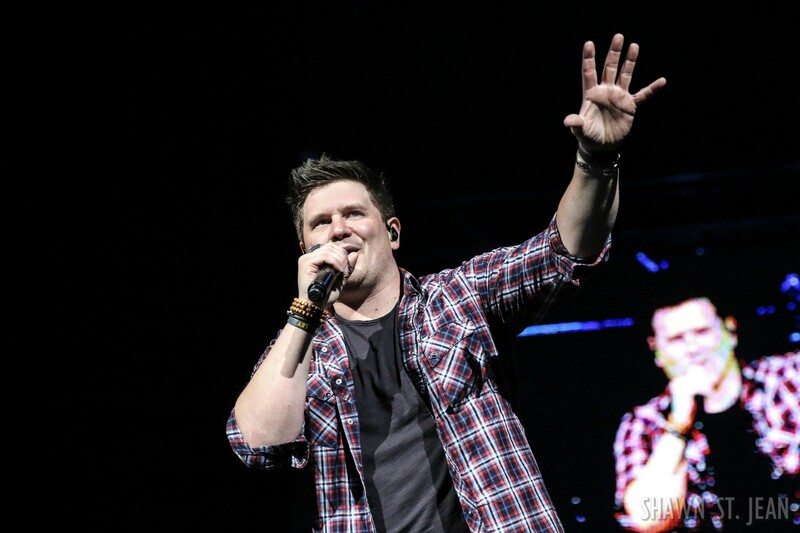 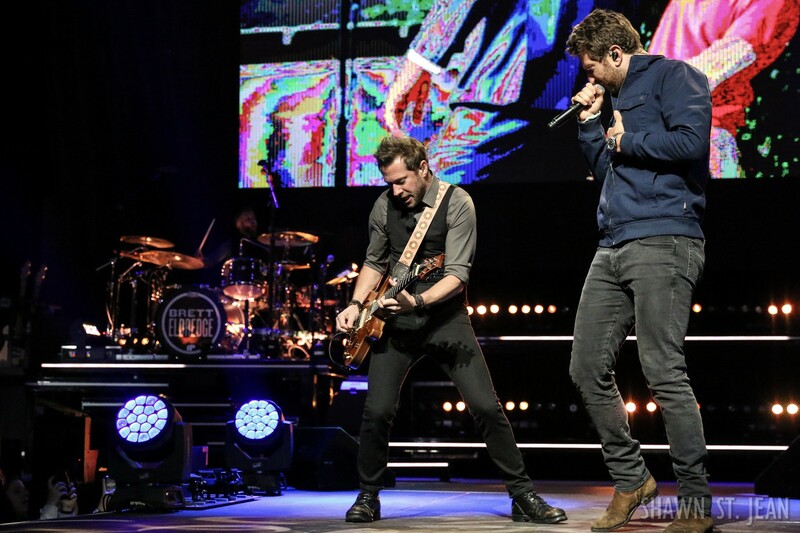 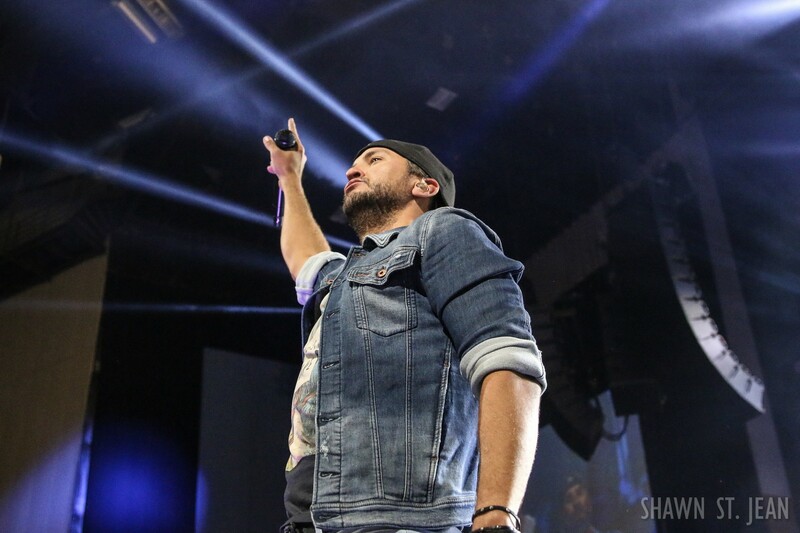 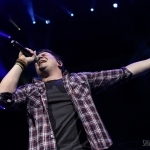 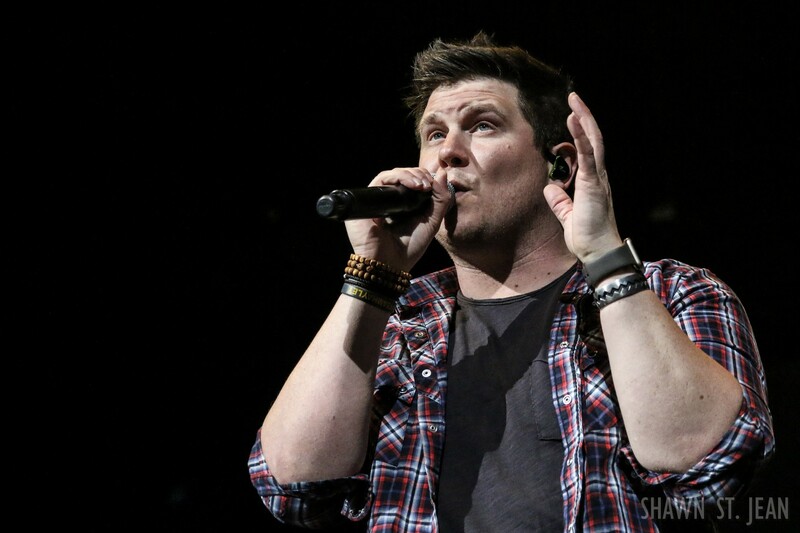 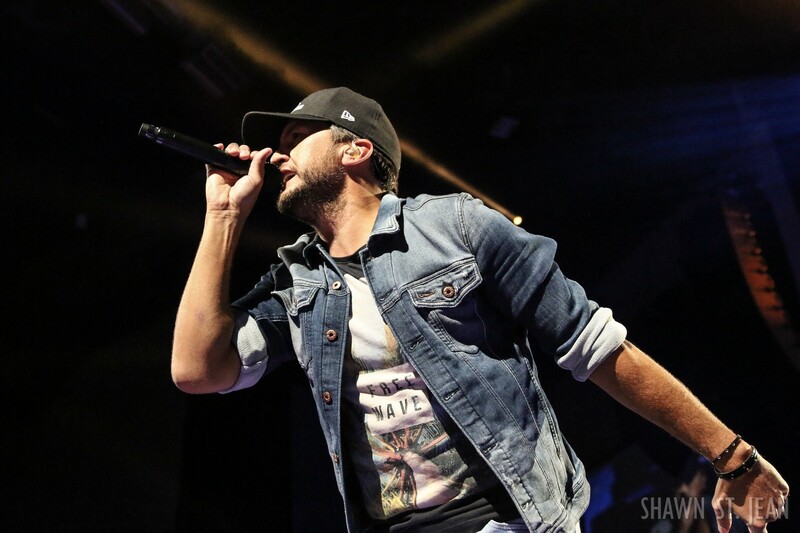 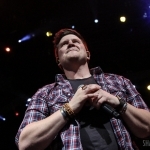 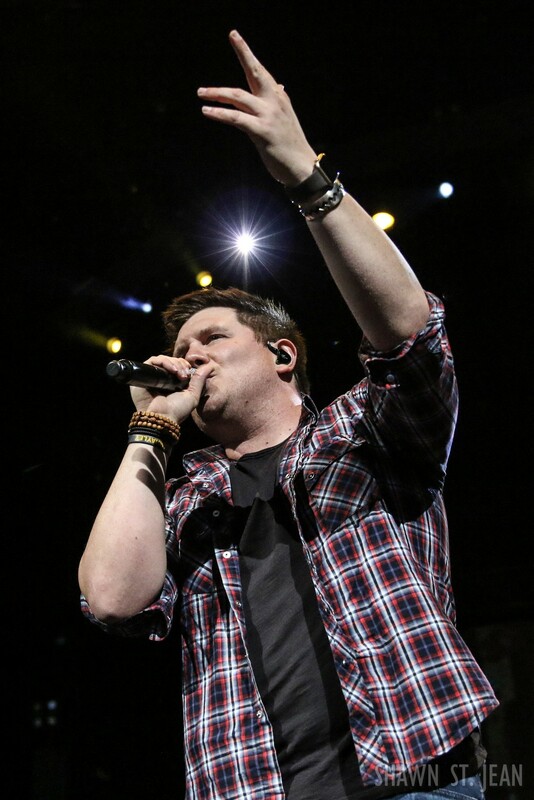 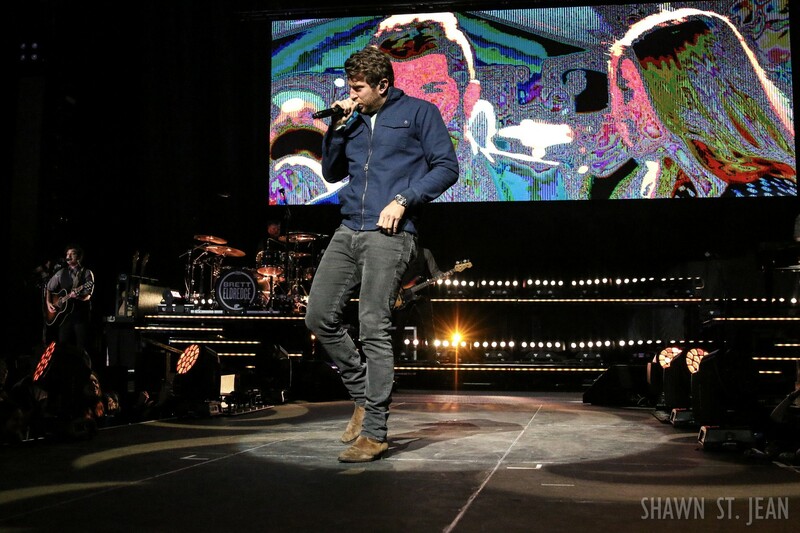 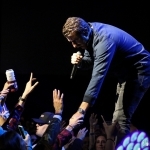 The crowd is always on their feet, arms – and drinks – up in the air, and singing all of the lyrics right back to Luke. 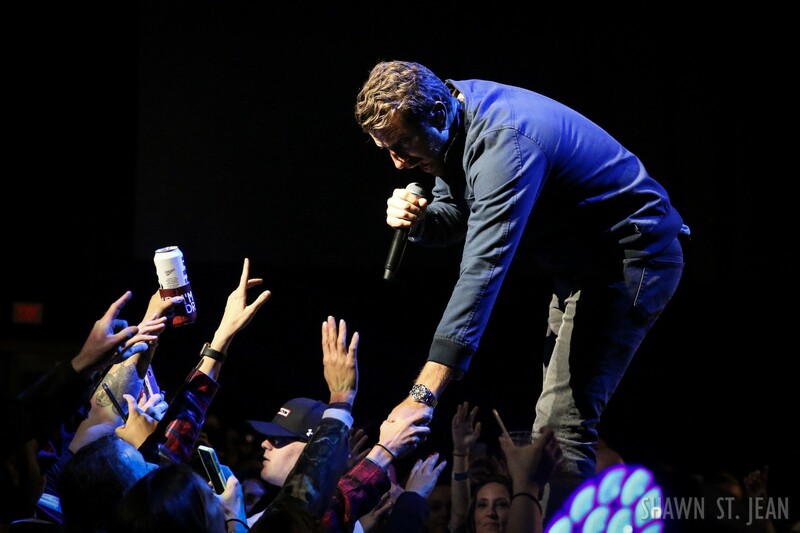 In a word, his fans are passionate. 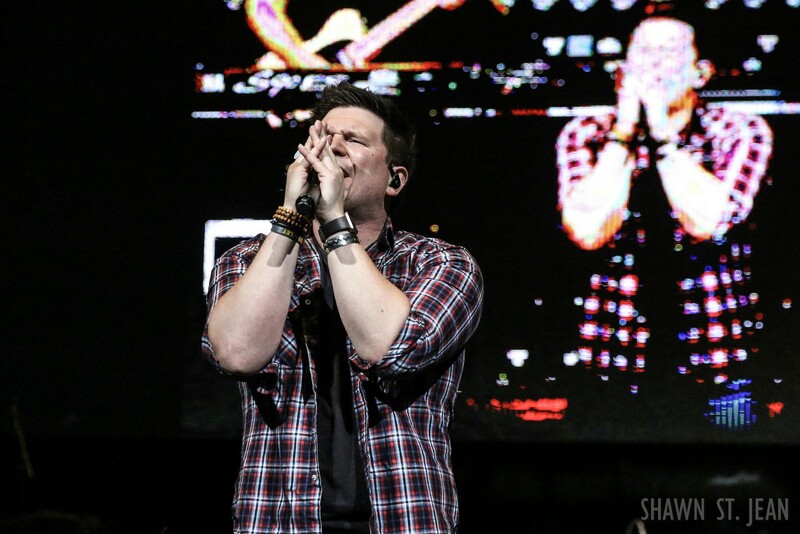 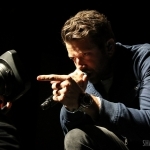 And I think that passion comes not only from a love for his music, but also from feeling a real connection with Bryan. 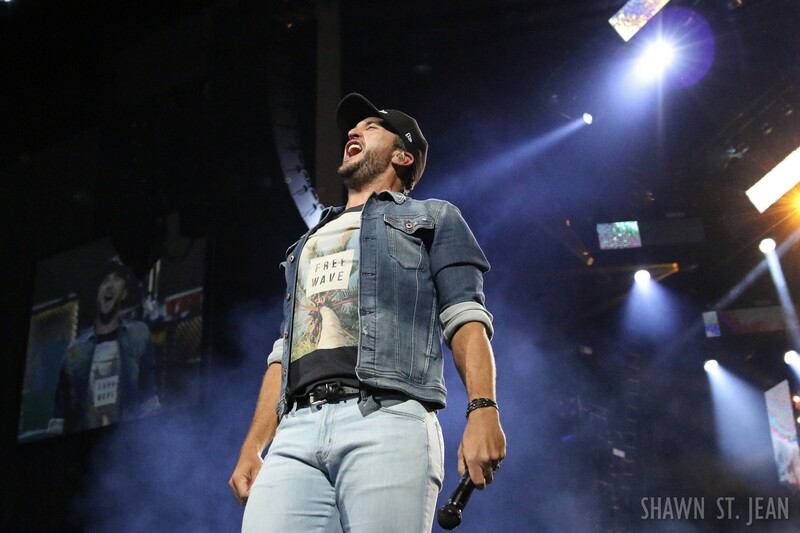 Whether he’s playing a pre-show performance for a small group, or to tens of thousands in an arena, Luke has a way of making everyone feel like you and he could be best friends. 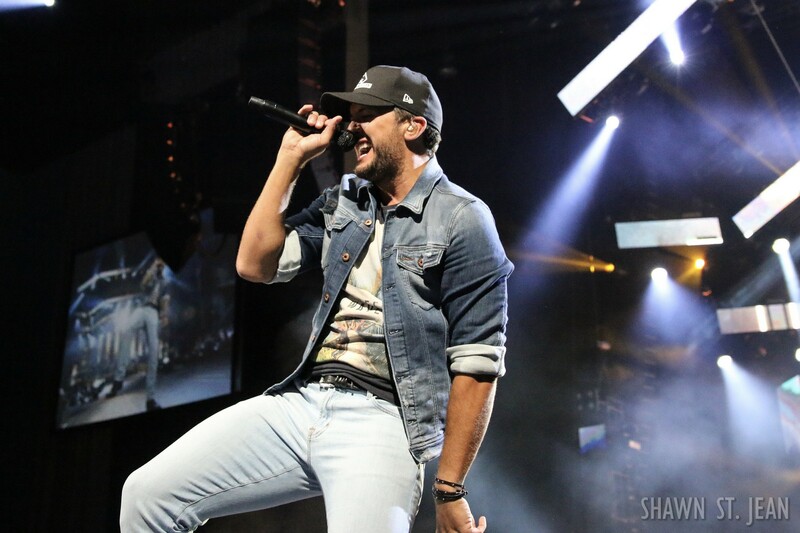 And no matter how crappy your week might have been, you know that when Luke hits the stage it’s gonna be fun. 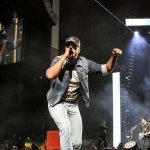 The weather on Saturday wasn’t exactly ideal for an indoor/outdoor amphitheater. 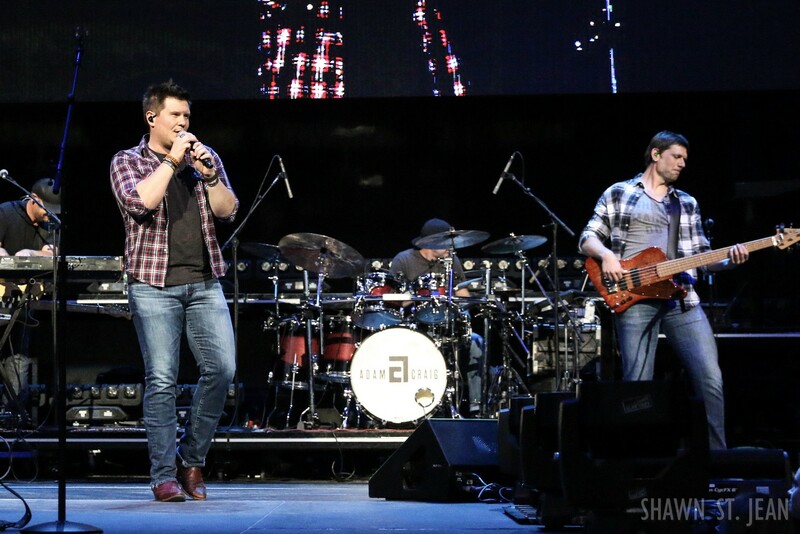 Cold temps and heavy rain made for an interesting experience for folks on the lawn. 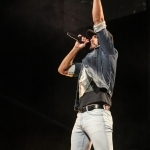 Of course Bryan did everything he could to help heat things up, both figuratively, with his signature dance moves, and literally, with a series of flamethrowers lining the stage. 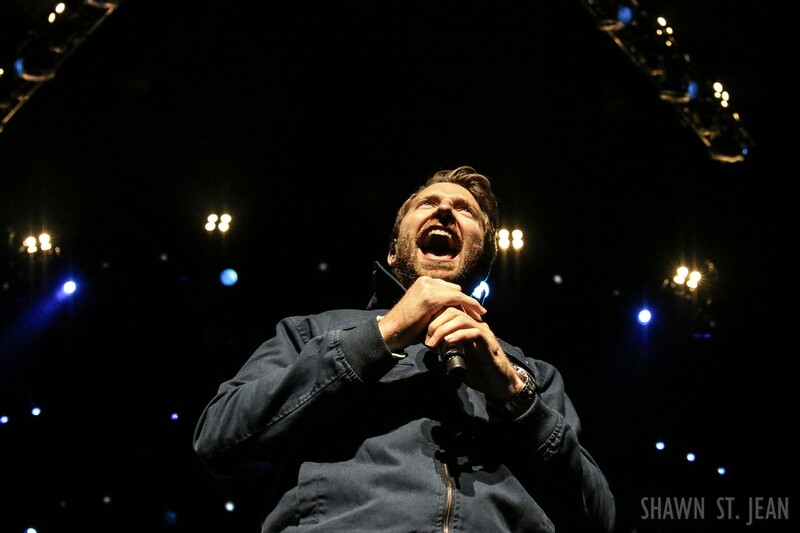 With the drop of a giant curtain, Bryan launched into Move. 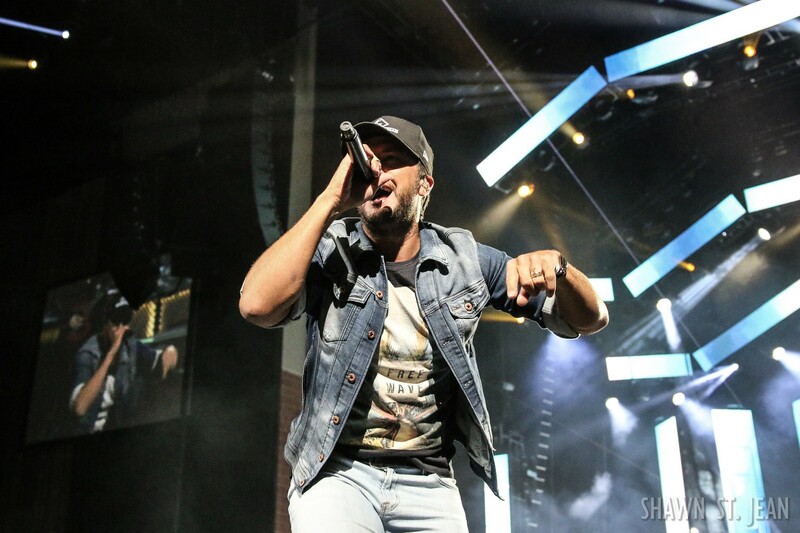 You couldn’t pick better lyrics to kick off a Luke Bryan concert: It’s like there’s something in the air that turns you wild when a country song is way up loud and the sun goes down. 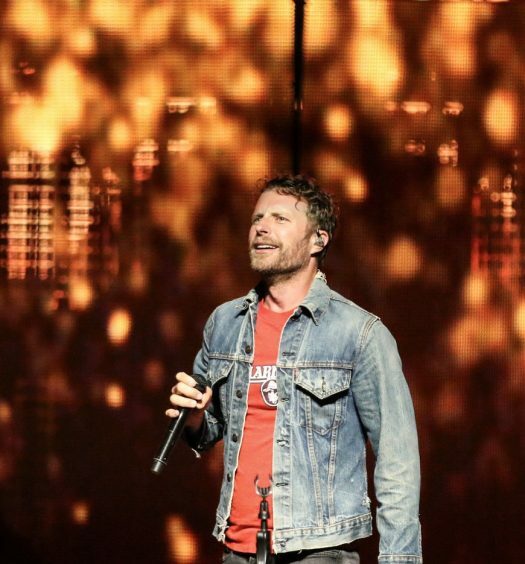 There was no slowing down from there as Bryan followed up with That’s My Kind Of Night (cue the flame throwers) and Kick The Dust Up. 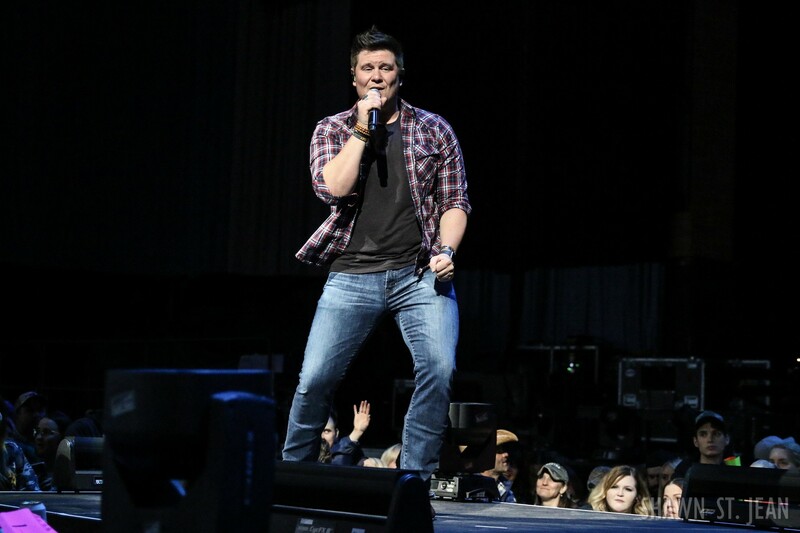 The crowd was in full-on party mode. 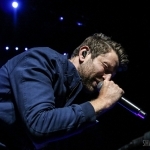 Bryan’s next song ended up being more relevant than he probably imagined when he created the set list: Rain Is A Good Thing. 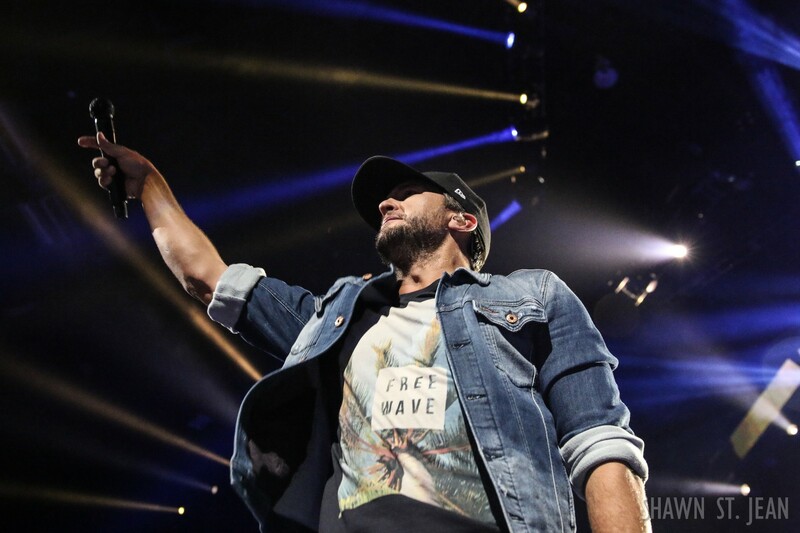 As it was Mother’s Day weekend, Luke was sure to send lots of love out to all the moms in the crowd. 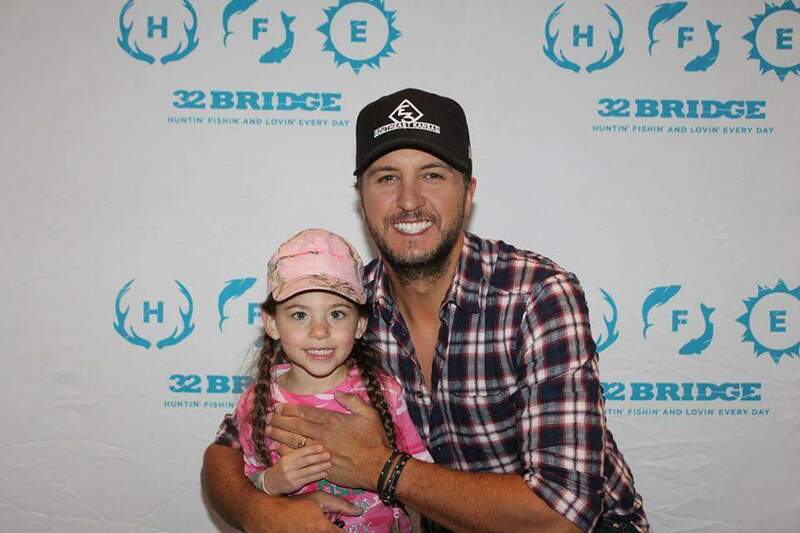 He went on to also thank our military and their spouses, school teachers, nurses, and first responders. 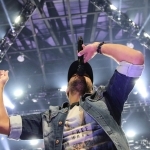 With 18 number one singles, you know that any given Luke Bryan concert is going to be the ultimate greatest hits performance. 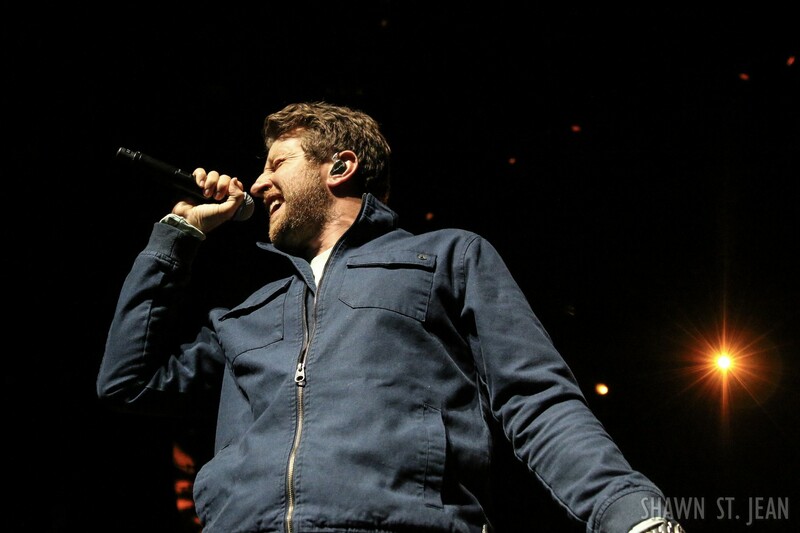 And for nearly two hours, that’s exactly what Hartford got. 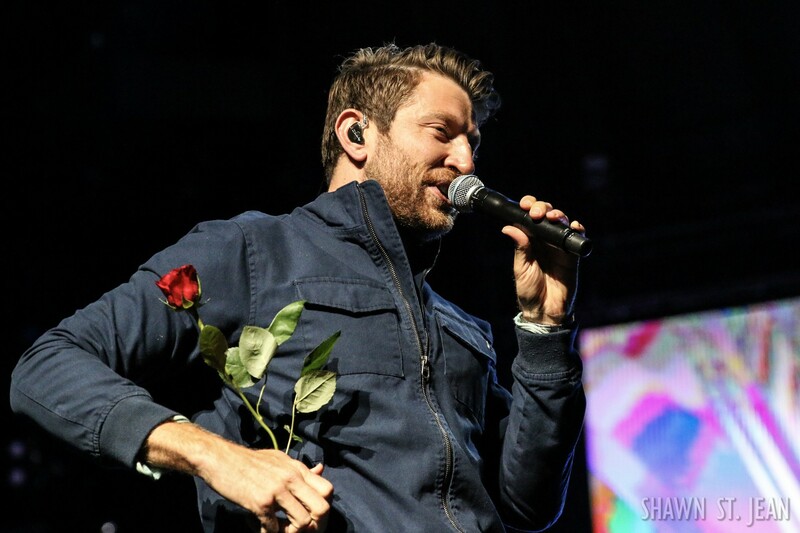 Bryan did take a short break from performing his mega hits for some really well received covers. 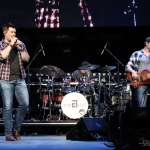 Sitting down at his piano which had been pulled out to the front of the stage he jokingly said, “This is the time for me to play whatever the hell I want to play for you.” With that the band broke into Alabama’s Mountain Music. 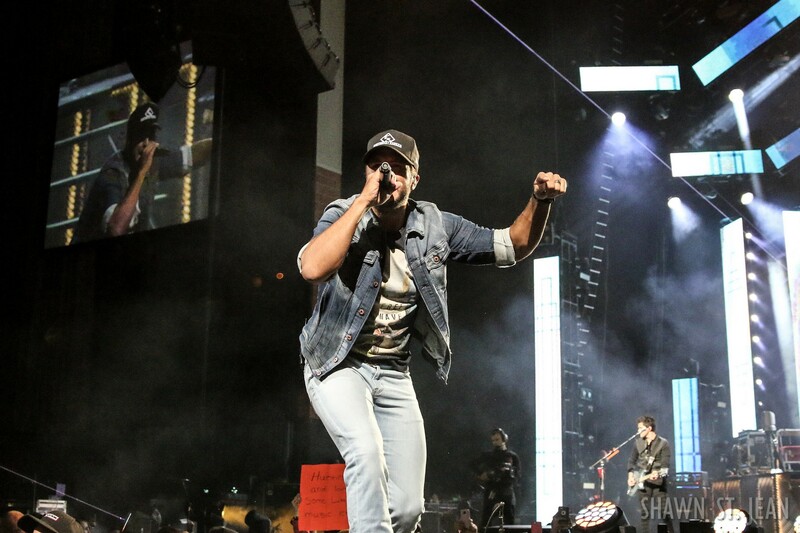 He followed that up, as only Luke Bryan could, with Neil Diamond’s Sweet Caroline. 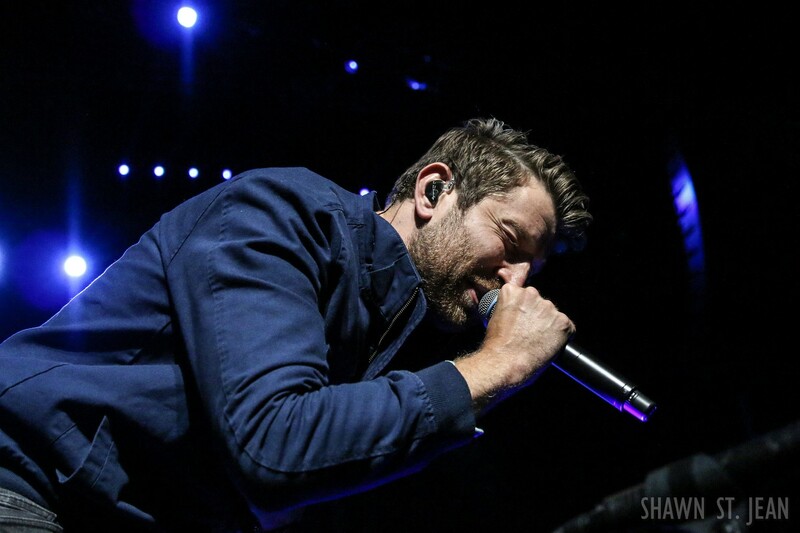 With Hartford’s proximity to Boston, you can just imagine how crazy the crowd went when they recognized those first few notes of the Fenway Park anthem. 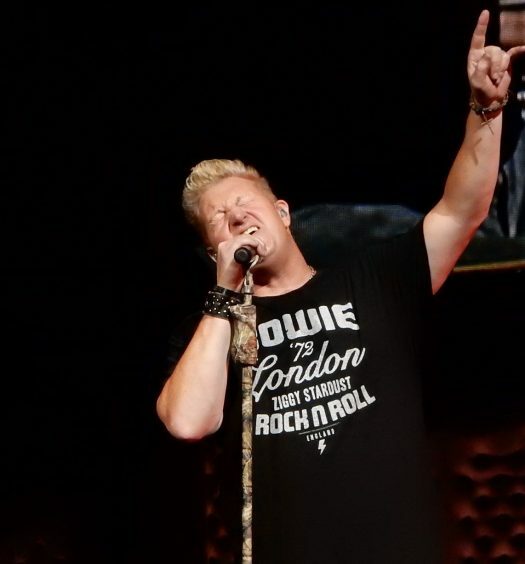 From there he transitioned to Uptown Funk, and lastly Journey’s Faithfully. 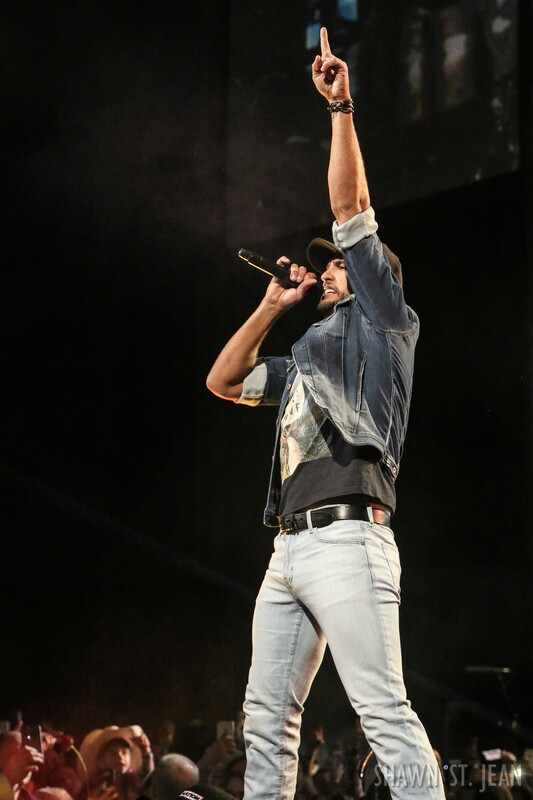 As he moved in to the final few songs of the night, Bryan kicked the tempo back up, first with Huntin’, Fishin’ and Lovin’ Everyday followed by I Don’t Want This Night To End. 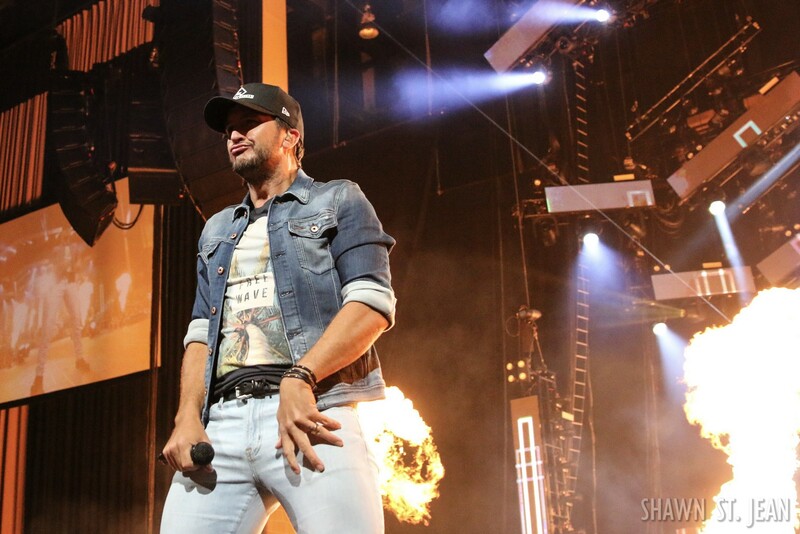 The flame throwers were back on full display to close out the show as Bryan ended with Country Girl. 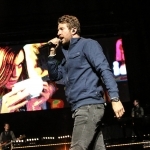 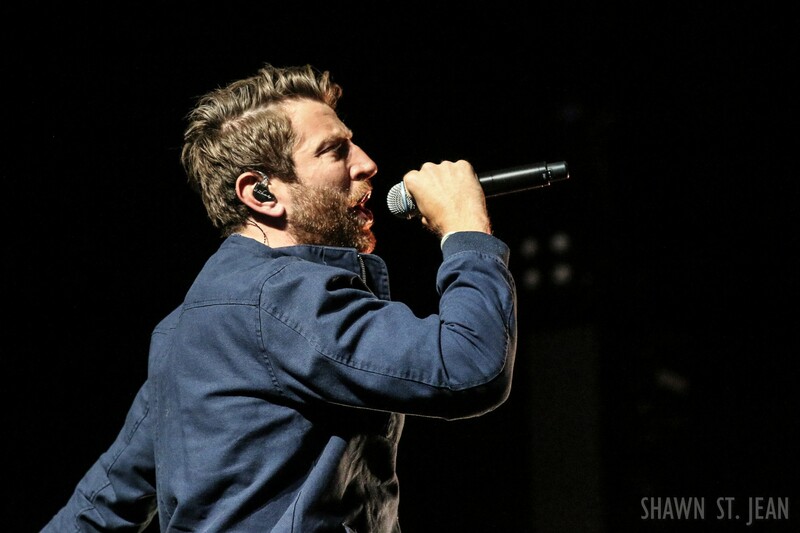 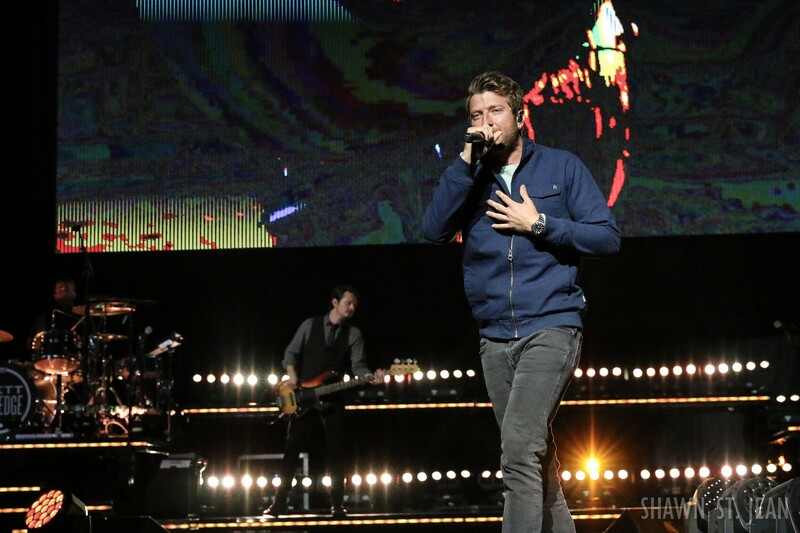 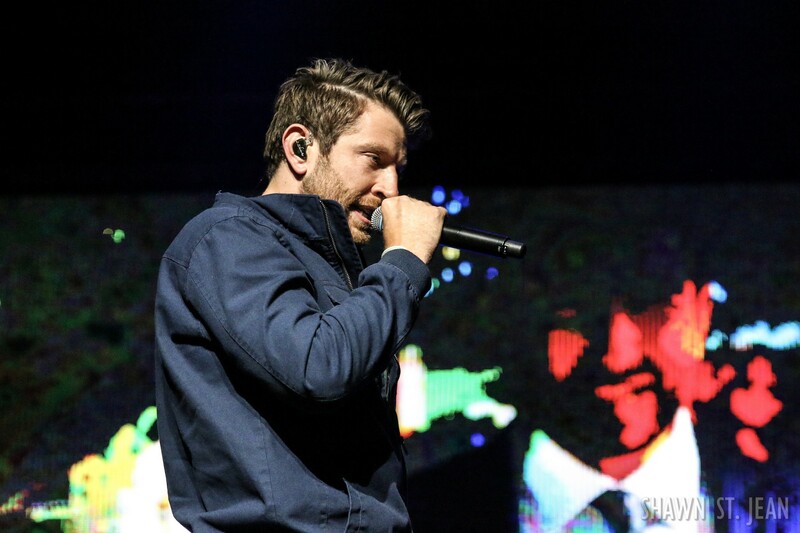 Before Luke hit the stage Brett Eldredge and Adam Craig got the crowd all fired up. 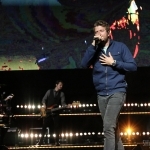 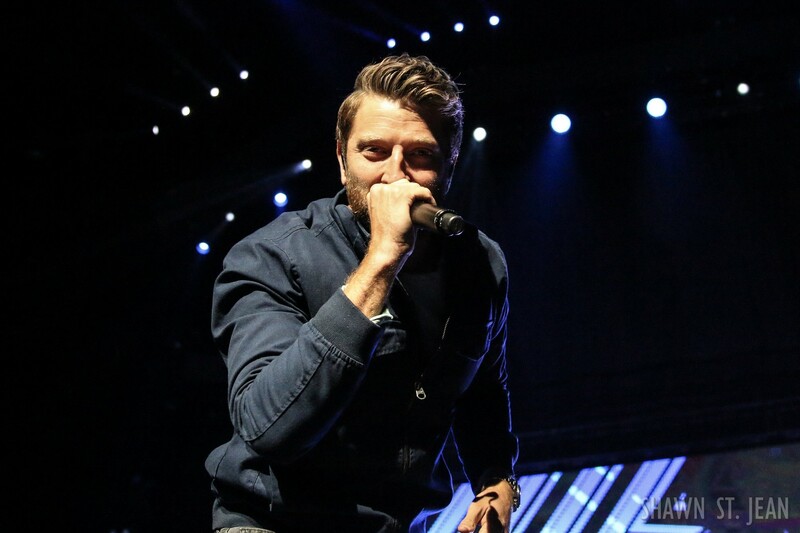 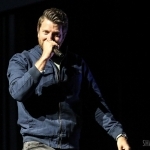 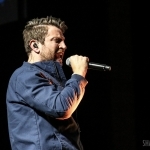 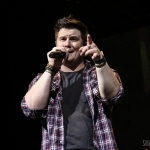 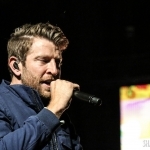 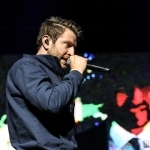 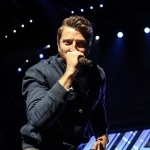 Eldredge recently announced that his brand new, self-titled album will be released later this summer. 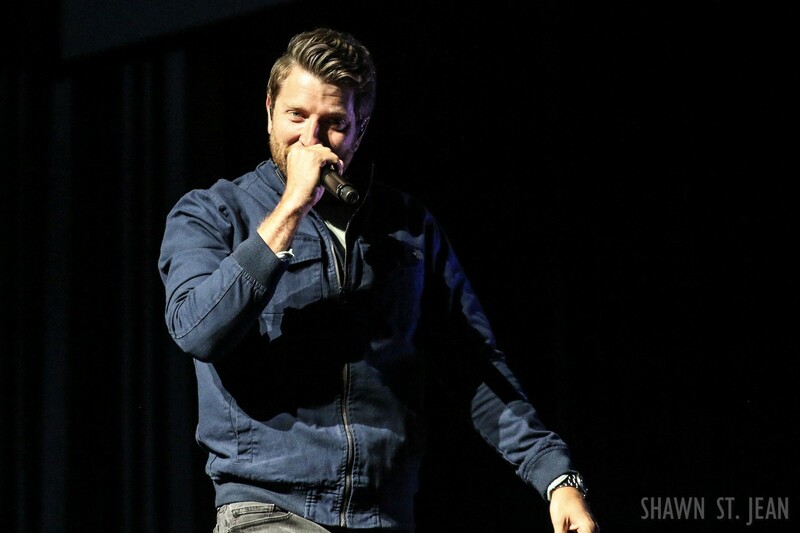 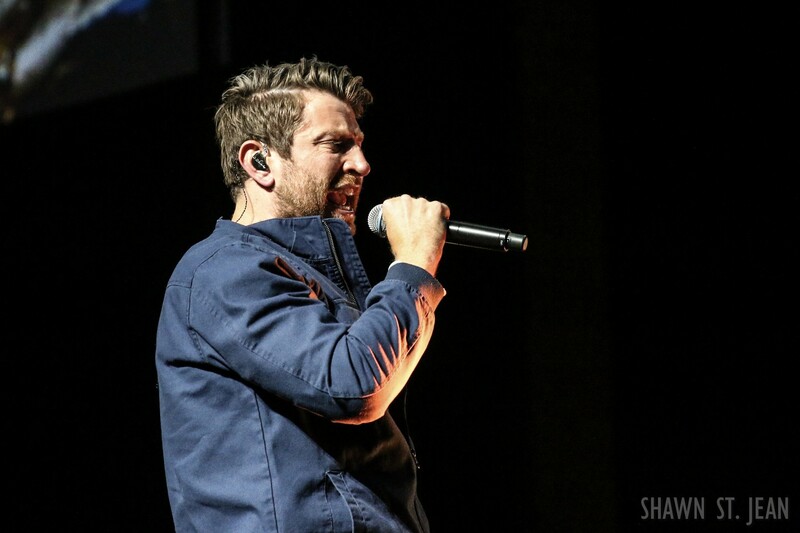 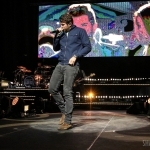 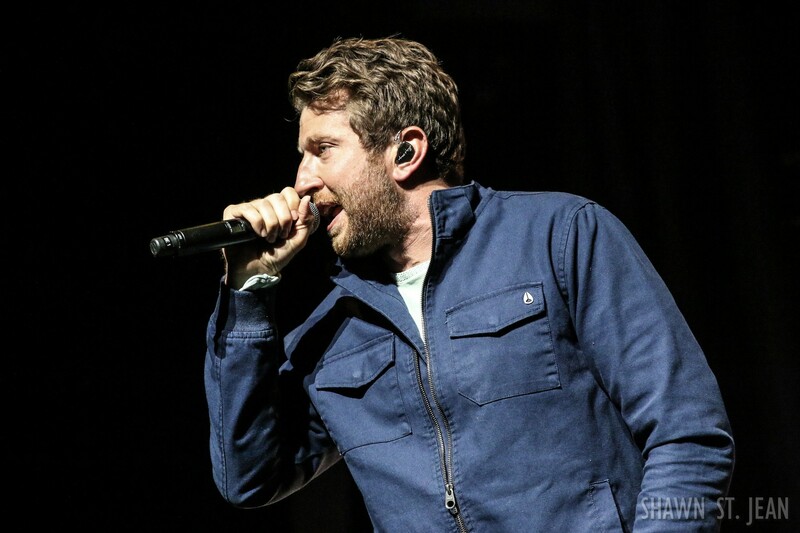 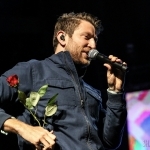 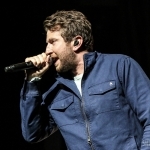 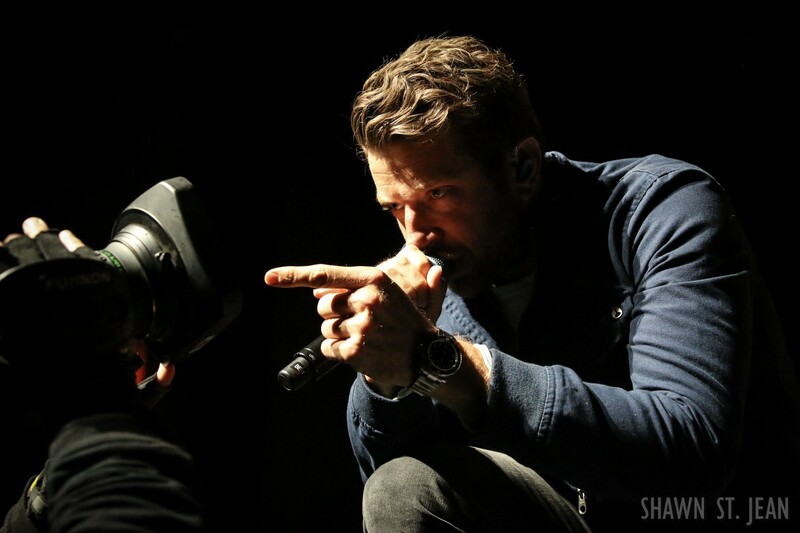 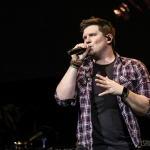 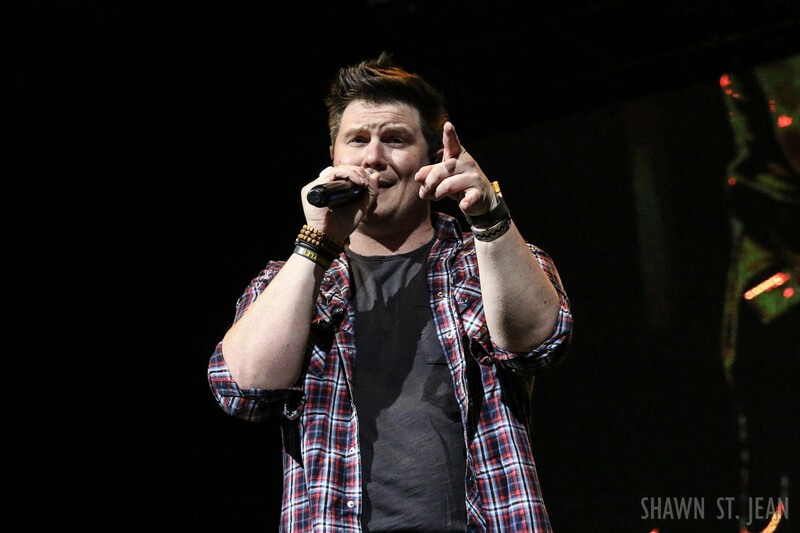 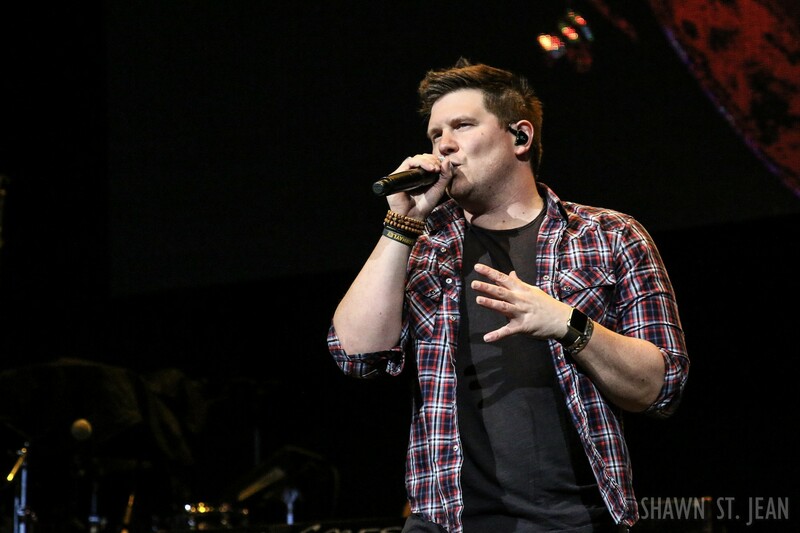 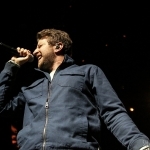 The day before the concert in Hartford, Eldredge released the second single off the upcoming album, The Long Way, which he performed for the crowd. 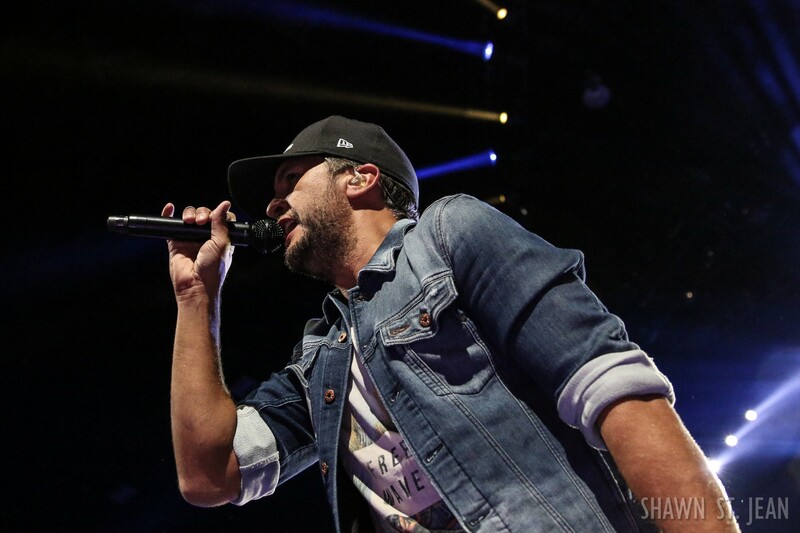 “This is all about lookin’ for that deeper kind of love,” he said. 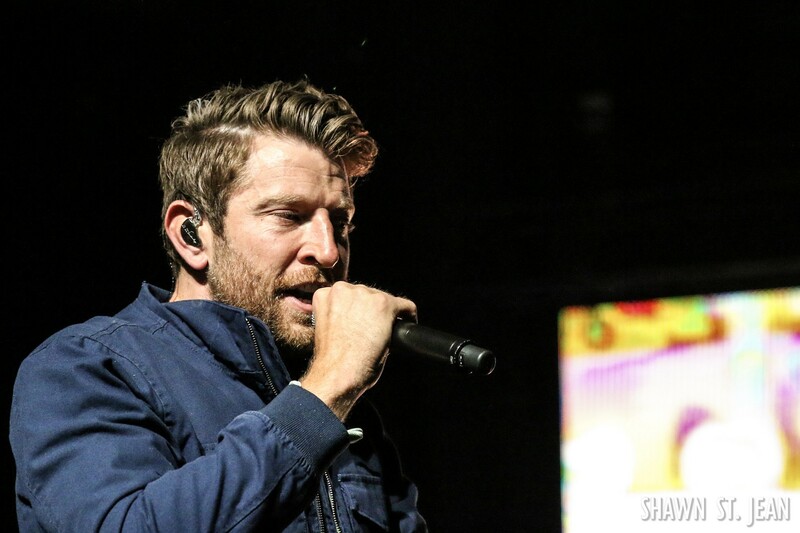 Eldredge’s set included some of his biggest hits to date such as Don’t Ya, Beat of the Music, and Drunk On Your Love. 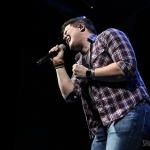 During his performance of Mean To Me he had everyone hold up their cell phone lights as his hit the line: If I could be the fire in your firefly – Xfinity looked truly magical. 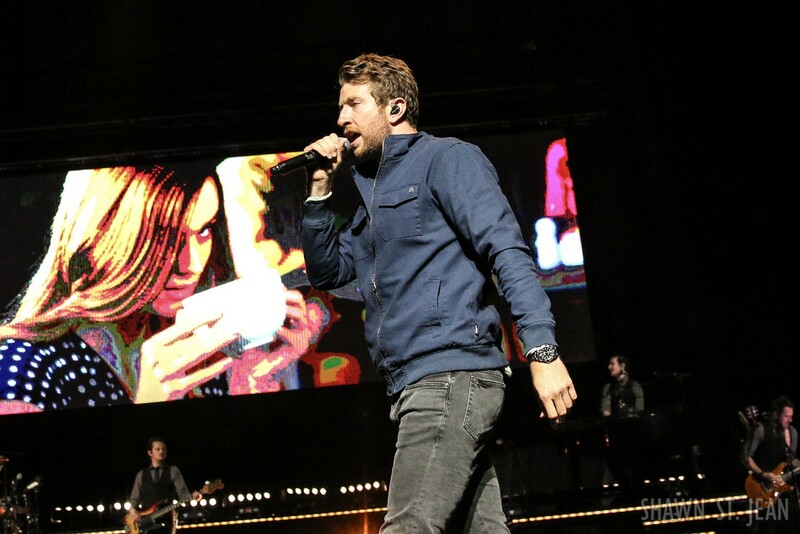 Eldredge wrapped his set up with Lose My Mind. 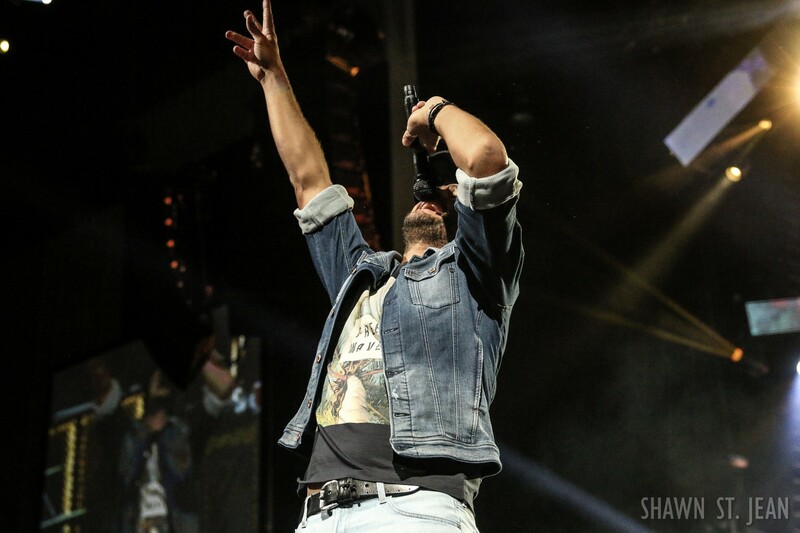 I think it’s safe to say that no one in Hartford wanted that night to end. 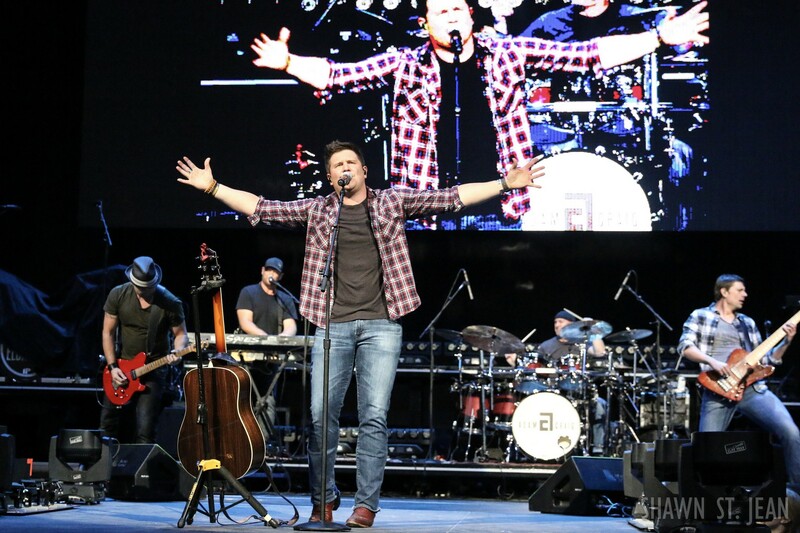 The Huntin’, Fishin’ And Lovin’ Everyday Tour will be back in the tri-State area this summer with shows at PNC in July and Jones Beach in August. 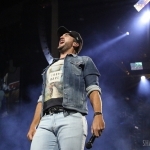 Head over to lukebryan.com/tour for a list of all the dates.